Many people remember hearing about the terrible Slender Man stabbing incident in 2014, when two 12-year-old girls allegedly lured their friend into the woods and stabbed her 19 times, purportedly out of a belief that a fictional character known as the “Slender Man” made them do it. Both of the girls accused of the stabbing were interviewed without their parents being present, and without being informed of their right to make a phone call, and confessed to the crime during these initial interviews with police. Recently, both motions to throw out the girls’ initial confessions and find jurors outside of Waukesha County, where the attempted murder took place, were denied, and the girls—now 15 years old—are being tried as adults and charged with attempted first degree intentional homicide due to Wisconsin state law. Although the violent nature of the crime cannot be denied, the case brings into question the whether it is ethical to try children as adults, particularly when one of those children is believed to be suffering from schizophrenia. Most 12-year-olds do not understand what one’s right to remain silent and have counsel actually means, especially when those rights are communicated to the child in the exact same way they would be to an adult. In addition, most children are taught to trust police officers and go to them when one is in need of help. In this case, the girls’ parents testified that they were kept from their children as they were being questioned by police detectives. Some states—such as California—do have laws requiring that children be represented by counsel when being questioned by the police. In other states—like New York—while the police may be able to be questioned by police without their parents or legal counsel, notification must be given to the parents or their guardian. However, in New Jersey, children under the age of 14 cannot be questioned until the parent or guardian is present. State law governs under what circumstances juveniles can be tried as adults. In this case, Wisconsin state law automatically dictated that the girls would be tried as adults due to the nature of the crime—attempted murder—which led them to file motions to move the cases to juvenile court. 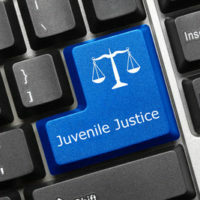 The judge found that moving the case to juvenile court would “unduly depreciate the seriousness of the offense,” and did not feel that the girls facing only three years of incarceration, coupled with extensive supervision until age 18, was appropriate under the circumstances. This case demonstrates why it is so important to ensure that a criminal defense attorney is involved in any questioning of family members by police, from the very start. Children can be tried as adults in many states when it comes to violent acts such as aggravated assault or murder. And once the judge decides that a juvenile will be tried in adult court, the child loses many protections afforded to juveniles. If you have any questions about the criminal defense of juveniles, contact attorney Phillip J. Murphy in Bergen County for a free consultation.